Hey there, today we will talk about "What is binary options?" and "How it works?" Trade on the shares of company. If the price of the shares is Increased, we get the profit. Trade on the currency pair.. If the price of currencies increased or decreased, we get the profit. Now you can understand about forex market. The same thing happens in Binary Options. Differences between Forex and Binary Options. Now we can look at the "How we can start Binary Options? First we need to register in Binary Options broker. I recommend these Binary Options broker for you. If you are newbie for Binary Option I highly recommend ExpertOption or IQ Option for you. Now let's consider how to trade in IQOption. After you register in IQOption, you can download IQOption trading platform. Download it. Now install trading platform in your PC or smartphone. Now you can log in trading platform. After the log, the GUI of platform looks like this. Click the plus button to choose currency pair. Now choose your currency pair. After first time login usually you are in demo account. 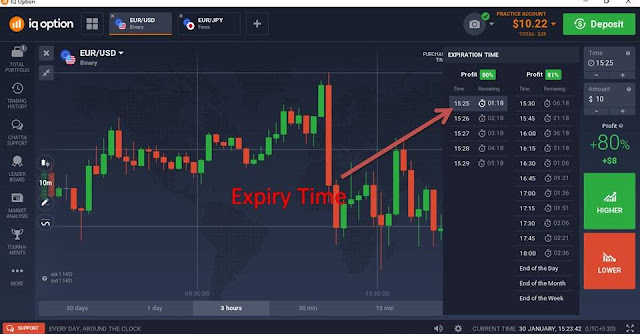 Now we can consider how to open trade in IQOption. After choosing currency pair, you need to choose expiry time for trade. Then select amount of a trade before you open the trade. Finally to open trade click green BUY button or red SELL button. 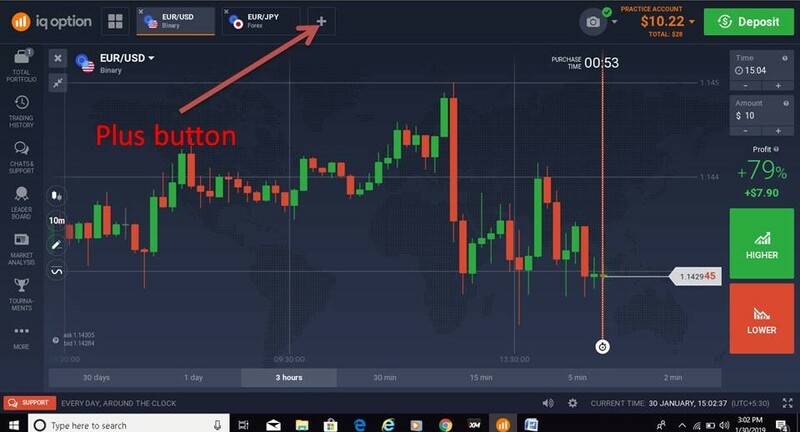 Now you ready to make money with BinaryOption. There is much thing to consider before opening a trade. We will learn them to you with upcoming posts. Trading is not easy. Do not trade in real account without knowledge about trading. See you in next post. Thank you for reading. When you try to do two things at once, you can't or won't do either well. If you think multitasking is an effective way to get more done, you've got it backward. It's an effective way to get less done. Right now, you might be reading this article while clicking around the internet, watching the news on TV or brushing your teeth. You're trying to save time by doing multiple things at once. But multitasking is lie. It's a lie because nearly everyone accepts it as an effective thing to do. It's become so mainstream that people actually think it's something they should do, and do as often as possible. Learn about Machine LearningToday we’ll learn about machine learning. How does this machine as we learn? So in this article we talk about machine learning. Maybe sometime you know about machine learning or maybe not. If you don’t know about this, this article for you. Mainly and simply this machine learn as human. Human brain made up with Neural Network. So this neural network gets data from our sensory organs and learns through them. Human brain also can make decisions with these data. In fact, the human brain is considered the most complex machine currently in the world. Also AI has this ability for doing machine learning, just like the brain. AI has big Neural Network, and it can learn faster than brain. Hey there, Today we'll talk about What is Hypnosis, You may have seen hypnotists make people fall a sleep on command, quack like a duck, or even change personalities, like in the move office space. In this articlce we'll learn what is hypnosis and how it works. And these performances can make hypnosis seem preety questionable to the average skeptical person. So, is there really that kind of power in soothing voice and a swinging watch? well, it turns out that hypnosis isn't just a party trick. there's scientific evidence that being hypnotized is possible and might cause some real changes in your brain. some psychologists even use it as a therapy to help patients with a bunch of physical and mental conditions. so, hypnosis is probably real. just not in the exaggerated brainwashing was you might think.